The Coca-Cola Company, through its partnership with (RED), celebrated the 25th anniversary of the movie Philadelphia with a mini documentary highlighting progress made in the fight against HIV/AIDS since the film’s 1993 release. (RED) was founded in 2006 by Bono of U2 and Bobby Shriver with the mission to make it easy for people and businesses to join the fight against the deadly virus. In 2011, Coca-Cola announced a multi-year partnership with (RED) to raise awareness for the Global Fund to help deliver an AIDS-free generation. The 25-minute featurette titled The Last Mile features interviews with Philadelphia cast members Tom Hanks, Denzel Washington and Mary Steenburgen, and screenwriter Ron Nyswaner, who reflect on the making of the film and how it helped shift cultural perceptions about HIV/AIDS from fear to compassion. In 2017, 1 million people died from AIDS, a completely treatable disease. Nearly 70 percent of people living with the preventable and treatable disease are in Sub-Saharan Africa. The film includes footage from Mozambique, with a focus on the Project Last Mile partnership between The Coca-Cola Company, the Global Fund, USAID and the Bill & Melinda Gates Foundation to bring life-saving medicines and supplies to hard-to-reach communities across Africa. Viewers meet Veronica, a mother of six who rides her bike five miles round-trip – which takes about four hours – to pick up antiretroviral (ARV) and malaria medicines to deliver to her rural village of Quilimane, and Luisa, an HIV-positive woman who recently gave birth to an HIV-negative baby. 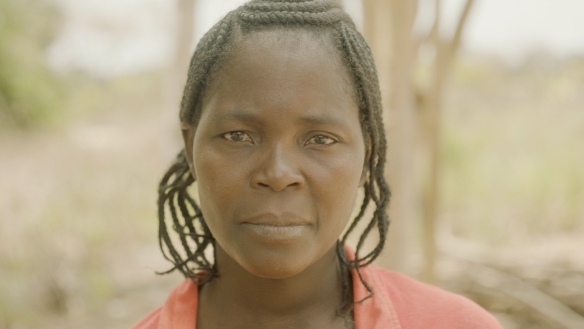 Luisa is among the 22 million people living with HIV and accessing treatment. Project Last Mile began in 2010 with a mission to transform the delivery of medical supplies in Tanzania in partnership with the local Ministry of Health. The initiative now supports communities in Ghana, Mozambique, Nigeria, South Africa, Liberia and eSwatini (formerly Swaziland). Tapping into Coca-Cola system’s experience gained from almost 90 years in Africa, each project is unique and carefully designed to address local challenges in healthcare delivery. Project Last Mile partners with local Coca-Cola bottlers to build capability and share information with government agencies on everything from supply logistics and route to market, to planning and procurement, to marketing communications. Projects are led by current and former Coca-Cola employees with relevant experience, and supported by volunteers from local Coca-Cola bottlers and business units.